Long-term Scheme Partner Kier Construction Ltd’s flagship Sports Park 2 project at the University of South Wales has received exceptional scores from the Scheme. 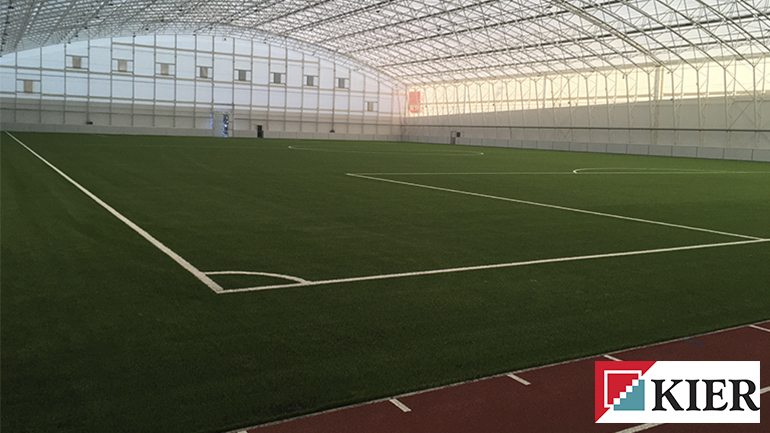 Kier Western and Wales pioneered the contractor’s very first Ultra Site in the UK – a new coaching and performance development centre in Treforest, Pontypridd, including an indoor training facility for both rugby and football. Led by contracts manager, Ian Williams, and project manager, Gavin Thomas, this project received an ‘exceptional’ (45/50) score during its first CCS Monitor visit in June 2017. The enormous levels of consideration demonstrated on this project culminated in a final score of 46 out of 50, including a community innovation score of 10/10 for the design and production of an interactive online game Shaping Your World, to promote construction as a career to young people. The £11m Sports Park 2 facility is being built at the University of South Wales (USW) as part of continued investment. The USW Sports Park extension in Treforest is a circa 10,150m² new build state-of-the-art coaching and performance development centre. It includes a new indoor training facility for both rugby and football, incorporating a synthetic 4G training pitch to FIFA Pro and World Rugby 22 standard. The new facility is designed as a sustainable development, utilising Sustainable Urban Drainage Systems as well as low energy heating, cooling, ventilation and lighting where possible. Why is it an Ultra Site? It was felt that Sports Park 2 had gone above and beyond in embedding all aspects of the Considerate Constructors Scheme requirements. This was with regard to its appearance, its approach to the local community, protection of the environment, ensuring everyone’s safety and developing innovative ideas. 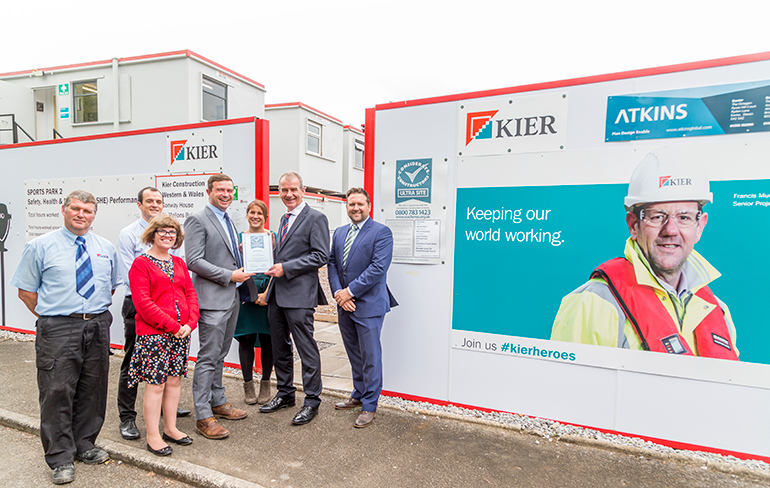 Outlining the benefits of being an Ultra Site for Kier Construction Western and Wales, Contracts Manager Ian Williams said: “Increased exposure of the site on social media and interest was generated purely by being part of the pilot. 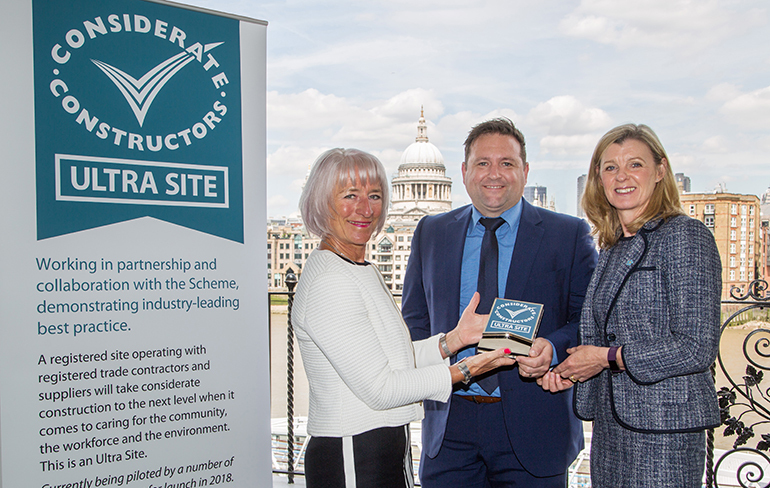 “This also played a part with the supply chain where the ‘Approved Ultra Site Contractor’ sticker can be displayed on their PPE and vans. Exposing the principles of the CCS to the operatives was nothing new, but now having buy-in from the subcontractor companies was a step up. This means our subcontractors now have embraced the Scheme and will bring those principles to all of our other schemes. Pinpointing the key lessons learnt from the pilot, Ian said: “Start the Scheme before the contract is awarded so the signing-up part can be included with the tenders and so that workshops can be set up before works commence. Asked if Kier would consider registering future projects as Ultra Sites, Ian said: “Yes, I would like to think that all my sites going forward would be Ultra Sites.